US military now aiming for ISIS's social media network in addition to physical targets, general reveals. The US military is now conducting cyber attacks on the Islamic State group, a general said Tuesday as the Pentagon looks for ways to accelerate the fight against the jihadists. A US-led coalition has been striking ISIS fighters in Iraq and Syria since August 2014, and officials have long stated the importance of using cyber techniques such as overloading ISIS networks to limit the group's communications and ability to reach potential new recruits. "We have now begun to use our exquisite cyber capabilities in this fight against Daesh," Baghdad-based Major General Peter Gersten told Pentagon reporters, using an acronym that comes from the group's name in Arabic. He did not elaborate except to say the effort is "highly coordinated" and has been "very effective." In February, Defense Secretary Ashton Carter and the US military's top officer, General Joe Dunford, said the United States was determined to "accelerate" the anti-ISIS campaign, and indicated cyber warfare would play an increasingly important role in doing so. Earlier this month, Deputy Secretary of Defense Robert Work said: "We are dropping cyberbombs" on the ISIS group. The New York Times published a story Sunday saying the US Cyber Command had placed "implants" in ISIS networks that let experts monitor the group's behavior and ultimately imitate or alter commanders' messages so they unwittingly direct fighters to areas likely to be hit by drone or plane strikes. The US Cyber Command is charged with protecting America's military and some civilian networks from attacks, as well as deploying its own offensive cyber strategies if needed. By 2018, it will have more than 6,000 military and civilian technical experts working across 133 teams. 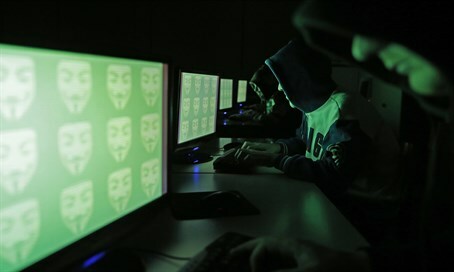 One such team, comprising about 65 people, today works in the Middle East and carries out cyber operations against ISIS networks.